Building R packages is not particular hard, but it can be a bit of a daunting endeavour at the beginning, particularly if you are more of a statistician than a computer scientist or programmer. Some concepts may appear foreign or like red tape, yet many of them evolved over time for a reason. They help to stay organise, collaborate more effectively with others and write better code. 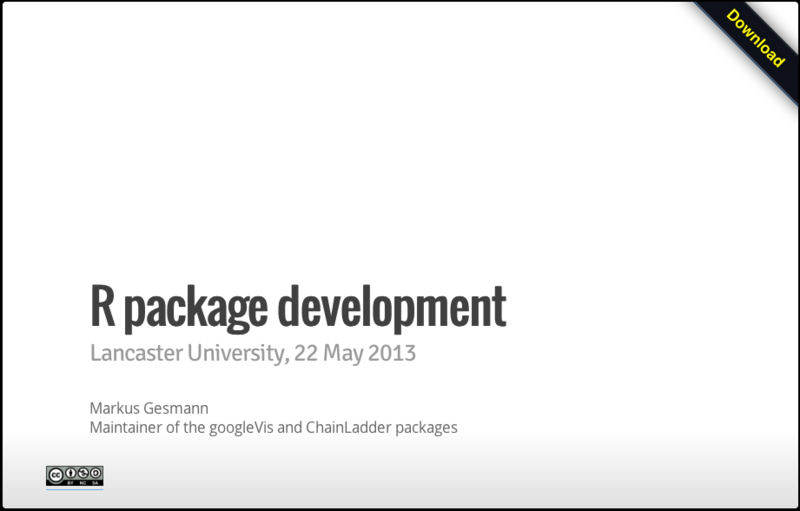 So, here are my slides of the R package development workshop at Lancaster University. For a detailed and authoritative reference on R package development see the Writing R Extensions manual on CRAN.